This recipe is artery clogging, greasy, cheesy, delicious, and Southern. It looks daunting to create but really isn’t that hard. Though it may be a Kentucky recipe, the average Kentuckian does not serve this daily. It is reserved for those special moments like the Derby or a trip to Keeneland (who has a great hot brown I am told). For each Hot Brown, place two slice of toast in a cast iron skillet and cover each piece of bread with 7 ounces of turkey. Take the two halves of the tomato and set them alongside the base of turkey and toast. 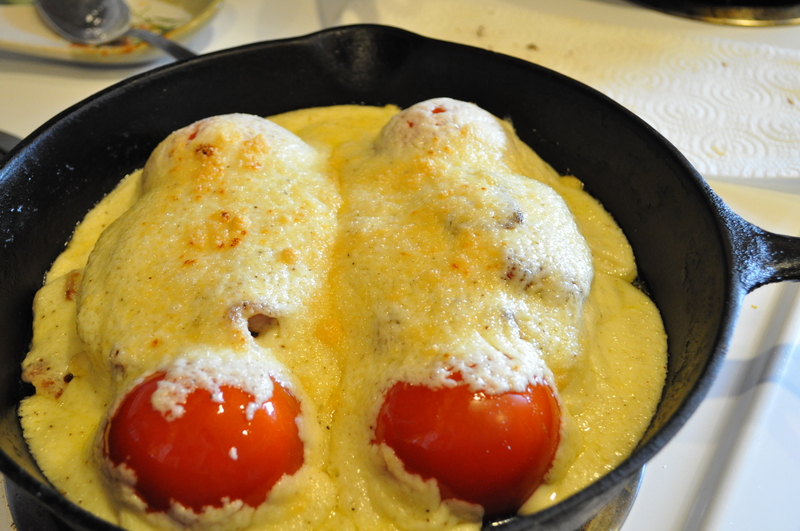 Pour the Mornay sauce to completely cover the dish. Sprinkle with additional Pecorino Romano cheese. 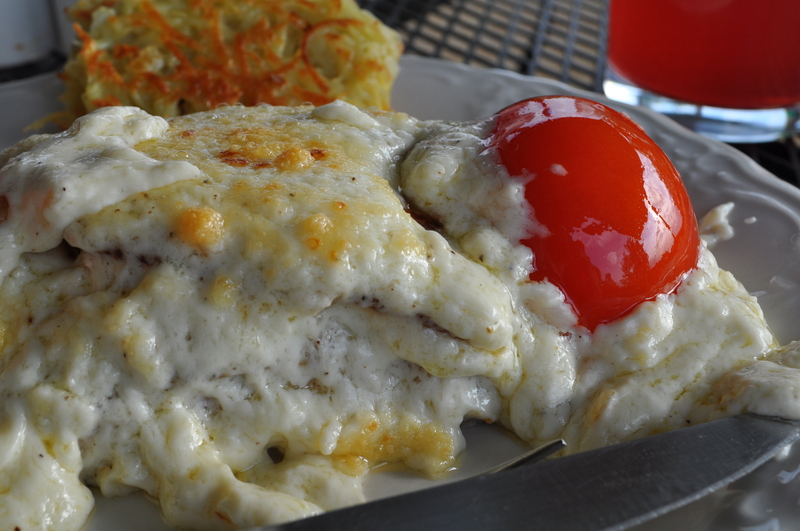 Place entire dish under a broiler until cheese begins to brown and bubble. Remove from broiler, cross two pieces of crispy bacon on top (oops! my bacon is hidden by cheese sauce), sprinkle with paprika and parsley, and serve immediately. I have a good friend from Kentucky who is constantly homesick. I may have to try this dish on him and see if it makes him feel a little less lonely for Kentucky.